Vibration Calibrator TYPE2110｜PRODUCTS｜ACO CO., LTD. 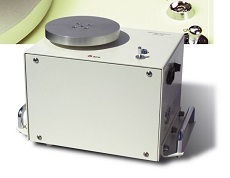 TYPE 2110 Vibration Calibrator offers highly accurate calibration for vibration pickups with the weight of 10-500g. TYPE 2110 is a calibrator for maintenance and of the level meters. 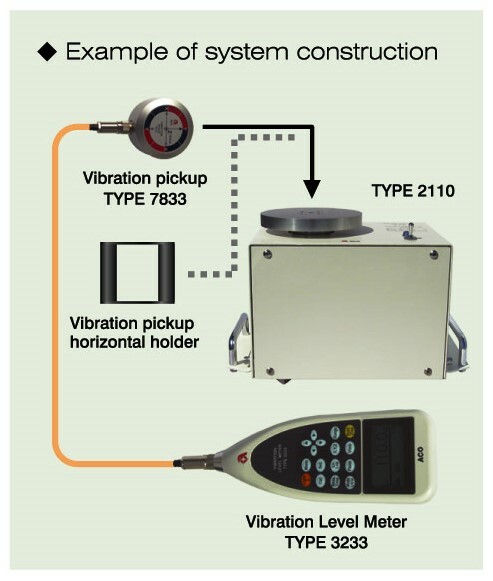 With the TYPE 2110, calibration of the vibration level that is required by JIS-C-1510-1995 after prolonged usage or usage under severe environmental conditions can be performed easily with high accuracy. ■ Easy switching of the commercial power frequency (50Hz or 60Hz). 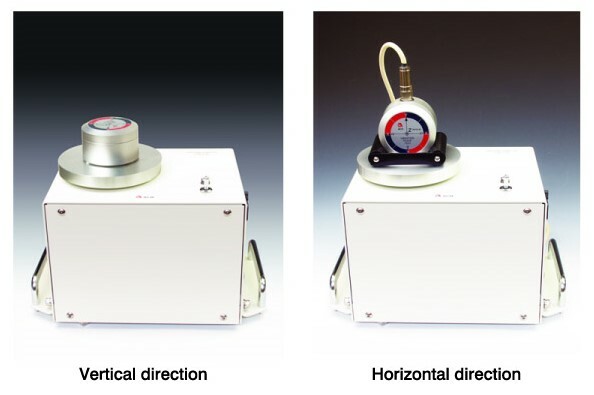 ■ Calibration in horizontal direction is possible using pickup holder.